Rocky has been well known for making top quality boots for the military and outdoorsmen since WWII, and in recent years they have adapted and expanded their line into an “integrated system of outdoor apparel, footwear, and outdoor essentials.” I have already had the opportunity to try out a couple of items from this product line the Agonic Mid-Layer Jacket and Dead Reckoning Trek Pants I am wearing in the photo. The Agonic has already become my every day spring jacket and go to for hiking on cooler days. Given the great performance of these items, I am really looking forward to putting the rest of their gear through the paces. One other thing that makes this such an exciting opportunity for me, aside from Rocky’s well-known name and long-standing reputation for quality and ruggedness, is the fact that they are based in Nelsonville, right here in my home state of Ohio. They are just a couple hour’s drive from home, and also quite near one of Ohio’s scenic treasures, Hocking Hills State Park. 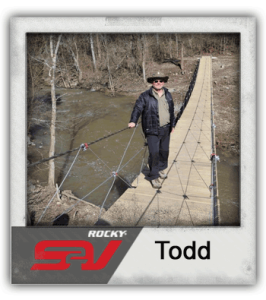 Somehow I sense a visit to ROCKY BRANDS™, Inc. and a hike at Hocking Hills may soon be in the making; I can’t wait! 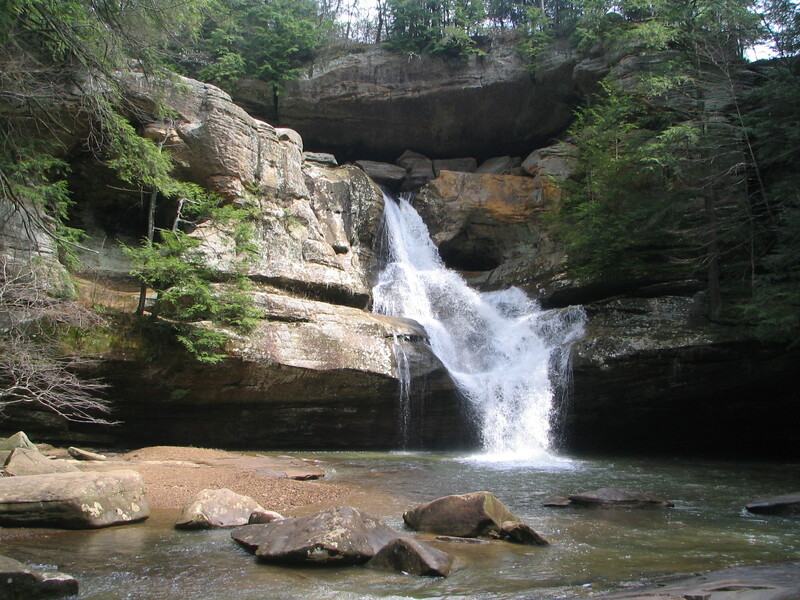 Cedar Falls, Hocking Hills State Park, Logan, Ohio. This entry was posted in Uncategorized by Todd D. Nystrom. Bookmark the permalink.